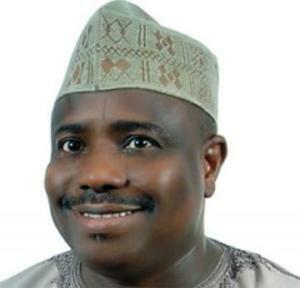 The Federal High Court, Abuja, on Friday, affirmed the election of Aminu Tambuwal as governor of Sokoto State. The court dismissed the suit filed by Senator Umar Dahiru, challenging the nomination of Tambuwal as the governorship candidate of the All Progressives Congress (APC) in the April 2015 general elections. Justice Gabriel Kolawale dismissed the suit on the grounds that Dahiru failed to prove his claims that the APC primary elections in 2014, were conducted in violation of the party’s guidelines and constitution. “The plaintiff did not pin point in specific terms in what ways and manner the APC did not comply with its guidelines and constitution. Justice Kolawale had fixed June 23 to deliver judgement in the matter after listening to final arguments from counsel involved in the legal battle over the Sokoto State governorship seat. In his argument, counsel to Dahiru, Mr Roland Otaru ( SAN), urged the court to nullify and set aside the primary election that produced Tambuwal as candidate for the 2015 governorship election in the state. Otaru premised his arguments on the grounds that the constitution of the APC, the APC guidelines on the primary elections and the Electoral Act 2010 were “violently violated” in the conduct of the primary election. The counsel maintained that the primary election was conducted in breach of the relevant rules since verification and accreditation of delegates were not done in spite of the fact that they were mandatory. He urged the court to take a judicial notice of the list containing the names of the delegates who participated in the primary election and the report of the APC. The counsel said that there was no evidence of verification and accreditation in compliance with relevant laws. On his part, Mr Jubrin Okutepa (SAN), counsel to the APC, asked the court to dismiss Dahiru’s case on the grounds that his claims were inconsistent. Okutepa drew the court’s attention to the affidavit evidence of Dahiru prepared in 2015, where he admitted that accreditation of delegates was carried out. He said it was only in a further affidavit prepared in 2017, that he recanted his earlier position and said that accreditation was not carried out. According to him, a litigant must be consistent in his claim. He added that Dahiru failed to call delegates to give evidence that they were not accredited and that the court should as such presume that there was proper accreditation. He urged the court to dismiss Dahiru’s case and uphold the nomination of Tambuwal. Mr Sunday Ameh (SAN), counsel to Tambuwal who aligned himself with the submission of Okutepa said it was too late for Dahiru who admitted that there was accreditation in 2015 to make a u-turn in 2017. According to Ameh, the period for primary election has expired in line with the 1999 Constitution, and as such, Dahiru’s case has become an academic exercise. Dahiru instituted a suit against the APC, Tambuwal and INEC, praying for an order of the court to nullify and set aside the Sokoto State APC primary election of 2014. 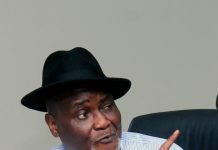 He premised his suit on the grounds that its conduct contravened the Electoral Act 2010, the APC guidelines on the primary elections and the party’s constitution. explain the fact that the voice is still the same?